“Hey the ice cubes have turned to water!” my wife Anne exclaimed. 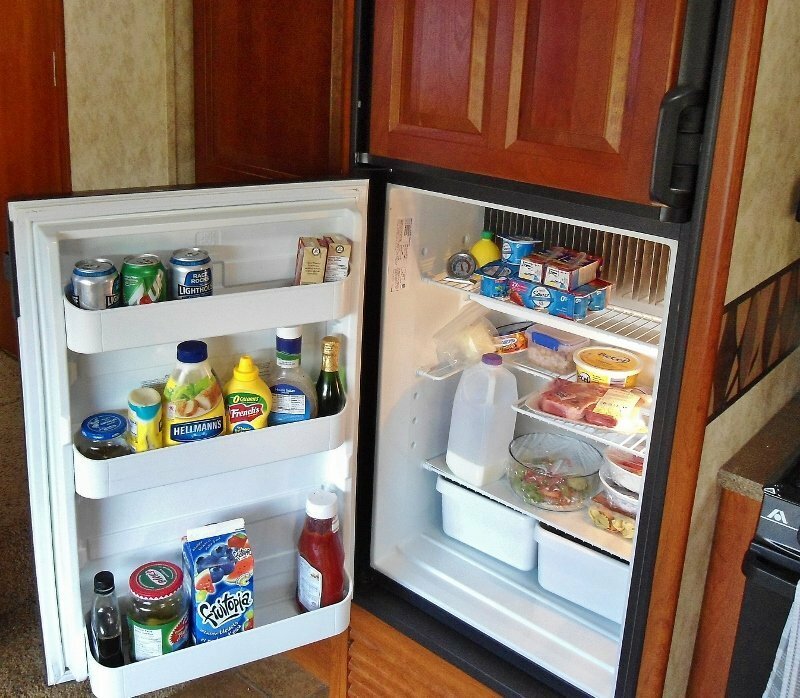 Oh oh, did we forget to turn the RV fridge on? 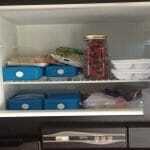 Nope, the indicator lights were on, but the freezer temperature had risen dramatically. 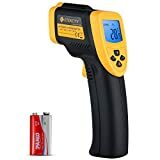 I grabbed my handy-dandy infrared temperature gun and checked. The verdict: freezer back wall = 34F and fridge top shelf = 48F. Not good. 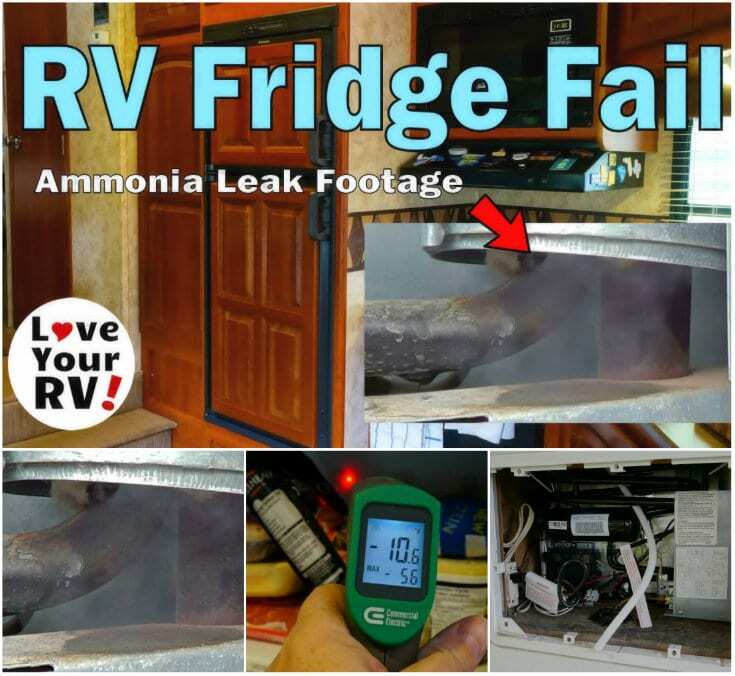 I’ve had this happened one time before when our RV refrigerators electrical element failed. So, I headed outside to check by pulling off the external access panel and feeling for heat. There was plenty of heat in the flue area but curiously the boiler section and cooling unit piping were, for the most part, cold. The pipes should be at least warm to the touch. After a few other quick voltage checks and a test using gas mode, I was pretty confident we were looking at a bad cooling unit. At this point, I wasn’t a happy camper. A cooling unit replacement is a major undertaking and we were hoping to leave soon for our snowbird trip south. Suddenly though the fridge decided to start cooling again and by the next morning we once again had ice cubes. Maybe it was just a blockage in the piping and had cleared. I crossed my fingers and hoped for the best. But, no such luck a day later the temps rose and the fridge quit cooling. 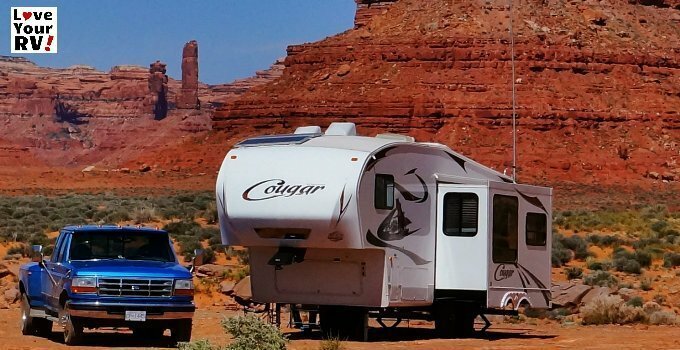 I decided to email our RV dealer, the one we bought the Cougar from 5 years ago and see what could we could do. About an hour later, while waiting to hear back, I noticed a loud fizzing noise coming from the back of the fridge. I rushed outside and opened the access panel to witness its ammonia rapidly leaking out. 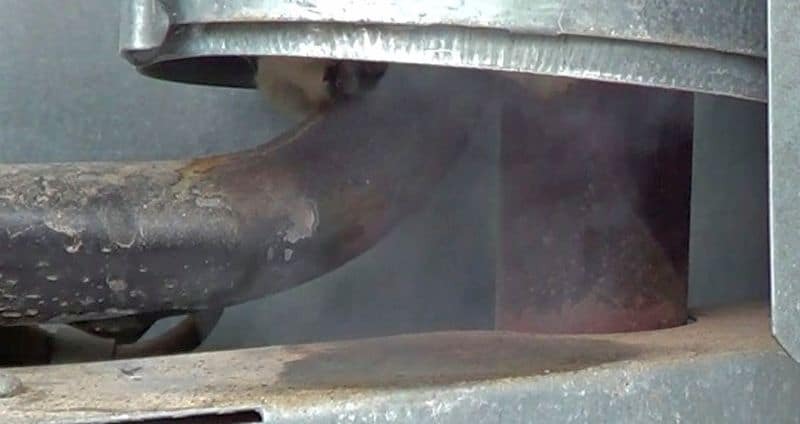 The cooling unit had ruptured and was dripping its internal ammonia mixture right down the flue, instantly evaporating as it hit the hot metal. 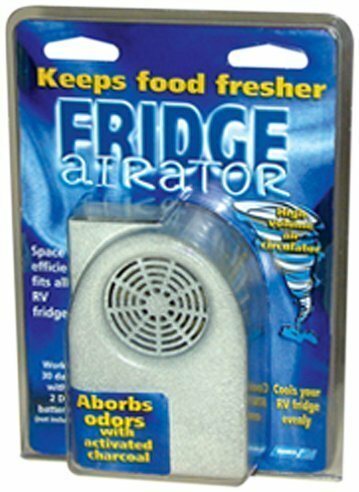 The fridge was now completely toast! The ammonia gas is extremely noxious so I kept my distance. I quickly turned off the fridge, disconnected DC/AC power, and LP gas then waited for it to cool down with a couple of fire extinguishers on hand, just in case. I did have the foresight to grab my video camera and capture the event. 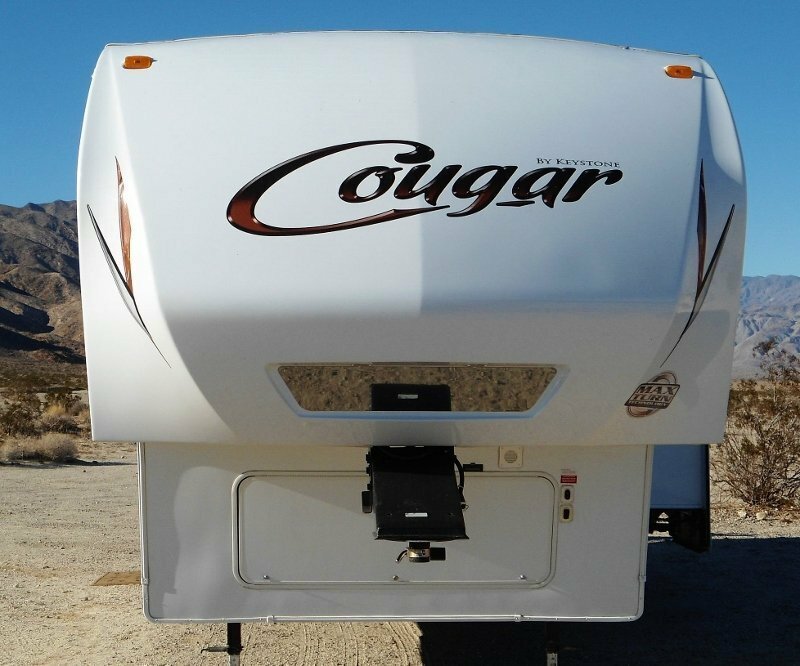 When we bought our Keystone Cougar fifth wheel from Greg’s Place RV in Duncan B.C they offered a six-year extended RV warranty for an additional $1500 CAD. They would add the extended term onto the OEM 1 year warranty giving us a full seven years of coverage tip to tail. 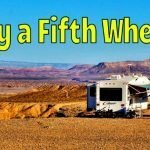 I was hesitant at first since I’m handy enough to do many RV repairs myself. What tipped the balance in the warranties favor though was it was transferable. Our initial plan for the rig was to use it for a one year trip of a lifetime and then resell it when we returned home. I figured the left over six years of warranty would be attractive to any potential buyer. But we ended up falling in love with the RV lifestyle and the rest is history. Over the course of owning our Cougar, it’s needed a fair number of repairs, but I decided to fix them myself and forgo a warranty claim. Usually, they weren’t worth the hassle of locating a repair depot and our time without the rig. But, if I had taken them in they would have likely added up to enough to recoup our investment in the warranty. 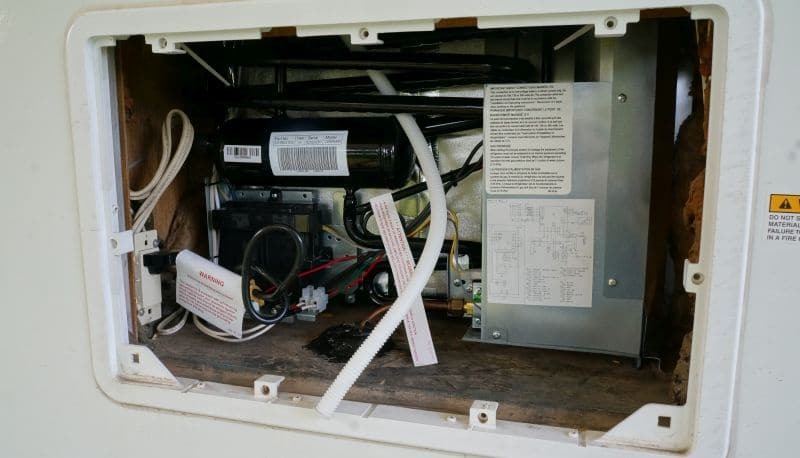 This recent RV refrigerator failure was a major one and could have taken quite a bite out of the old pocket book. 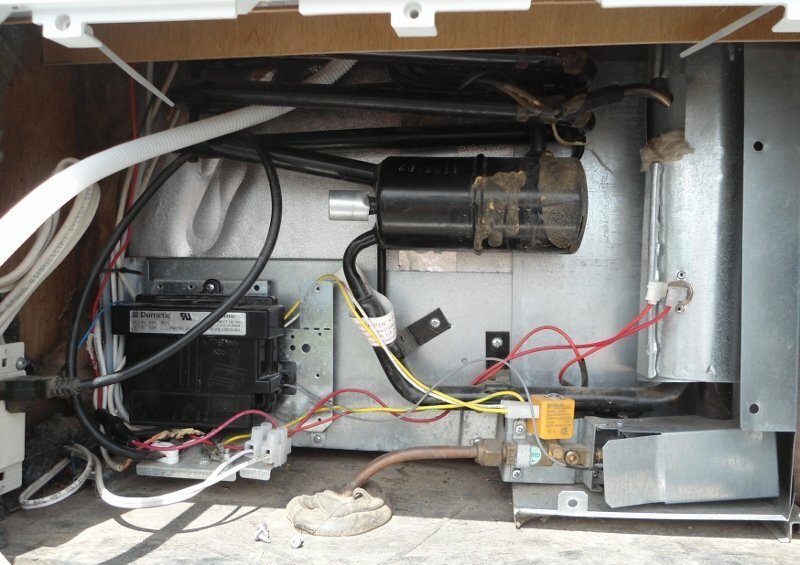 Our RV dealer ended up replacing the defective unit with a brand new model, looking it up online it goes for about $1200 USD. 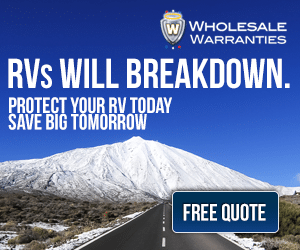 So you can see it has paid off for us to have an extended RV warranty and we still have two years left on it. They were able to get it shipped to them in 3 days and performed same day replacement plus a bunch of maintenance work to our suspension, brakes and wheel bearings. Kudos to Greg’s RV Place on Vancouver Island for their stellar service and fitting us in during a busy time for them. We are now down on the Oregon coast once again enjoying our RV and some cold beverages. 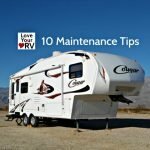 Disclaimer: Love Your RV! is an affiliate for Wholesale Warranties and I make a small commission for referrals. Also, I didn’t acquire my extended RV warranty through them since at the time they didn’t serve the Canadian market. I believe that has since changed.